Doctor's Best MSM with OptiMSM contains a high quality purified MSM (methylsulfonylmethane) backed by numerous clinical studies for safety and efficacy. 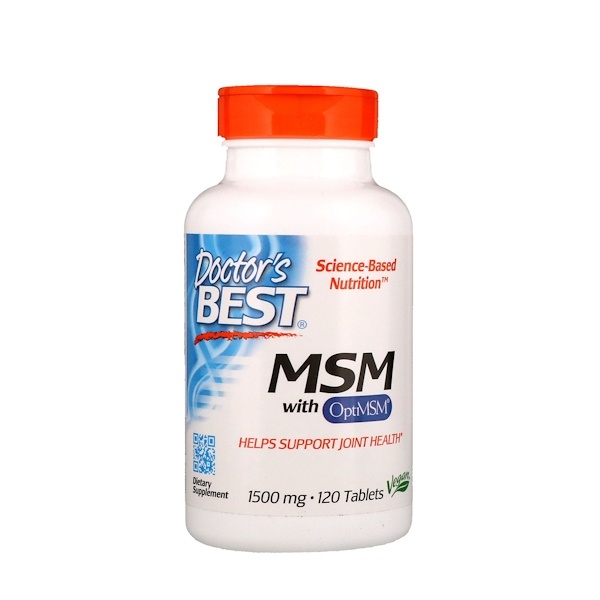 MSM is a natural sulfur compound that helps support the formation of healthy connective tissues. It also helps support overall joint health, mobility and a normal range of motion. 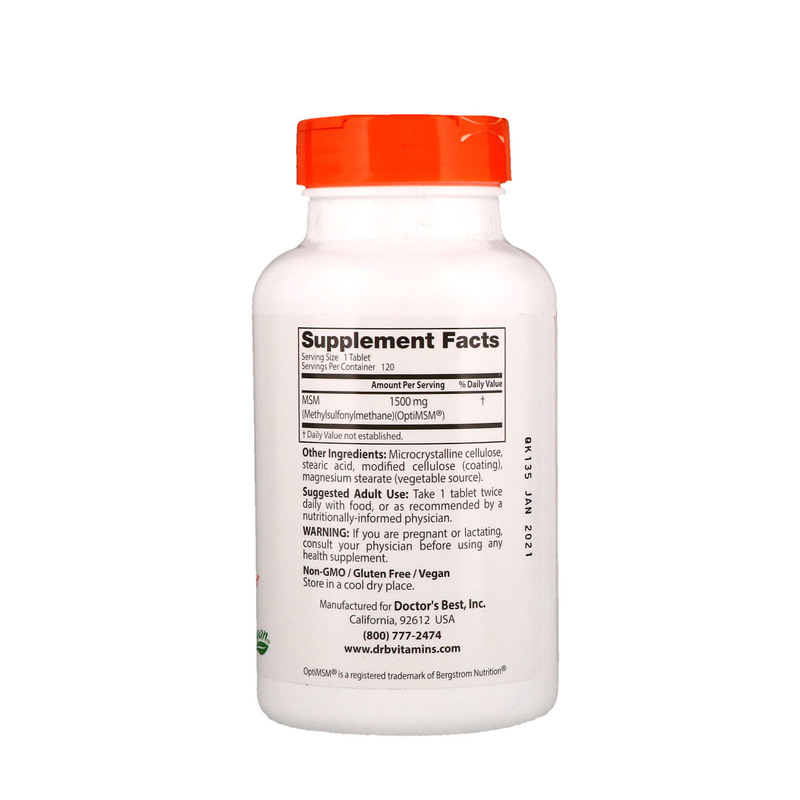 It also may help reduce oxidative damage to support a healthy immune system. Suggested Adult Use: Take 1 tablet twice daily with food, or as recommended by a nutritionally-informed physician.